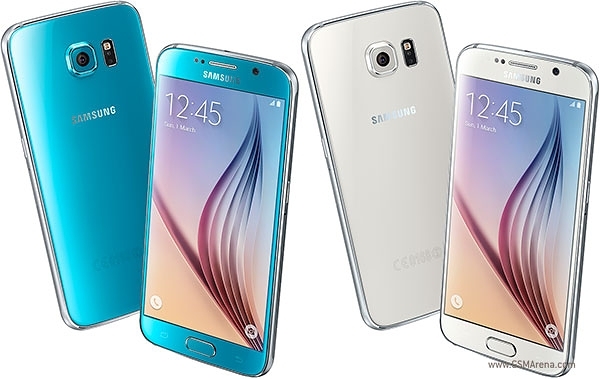 This, however, does not meant there aren’t already a few Galaxy S6 units out in the open. And while some are content simply marveling at them, others would love to see what is inside them and, more-importantly, how to safely open one. As most of you surely know, the new Galaxy flagships sports a dual-glass design that does away with the removable back cover and user-replaceable battery. The user manual for the handset, which can already be found online, seems to show that there is still a fairly straight-forward way of replacing the battery. We were sure that it involved some disassembly, but it turns out, the endeavor might be a bit too extreme for most to undertake. Last week we showed you a teardown of the Galaxy S6 by MyFixGuide.com, which gave us a rough idea just what it would take to get to the non-removable battery. Now iFixit has had a go at it and there is another disassembly available. It turns out that, while the six step guide in the user manual is technically true, the procedure is quite complicated, not to mention risky to perform on a quite expensive new phone. The battery is fixed to what is essentially the front panel assembly. To get to it, you have to first remove the glass back. Which is done with a lot of hot air to loosen the strong adhesive, a set of prying tools and a lot of careful and persistent work. Removing the cover is definitely a small victory and it even reveals the battery, but sadly, not the battery connector. To get to that, you have to first remove 13 screws and then repeat pretty much the same procedure on the front of the phone. Hot air and even gentler motions around the display will separate, what is essentially the main circuit from the middle frame. After that it’s as easy as swapping out the battery pack and doing all that backwards, while hoping not to leave anything loose or nor entirely sealed inside. All in all, it seems the good old days, when you could swap out a battery in under a minute are all but gone, at least for Samsung’s latest flagship phones, that is. Hopefully, the tradeoff was worth it. We have tried to answer this and many other questions about the Galaxy S6 in our in-depth review and be sure to tell us your opinion in the comments section below.